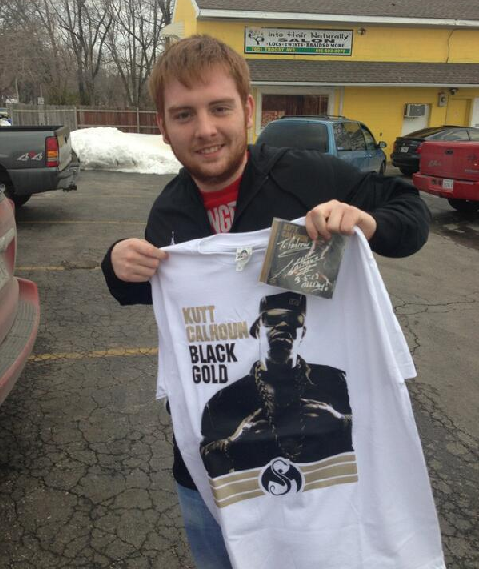 What better spot than a legendary hood landmark for Kutt Calhoun to have his Black Gold release party? 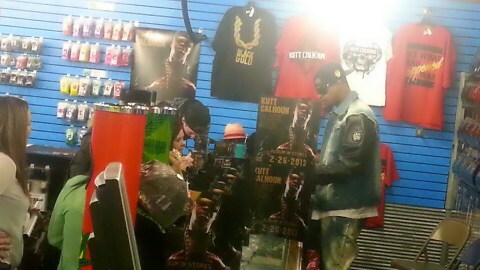 Kutt Calhoun took to a legendary street spot for his special Black Gold in-store signing by choosing 7th Heaven as the place of proceedings. 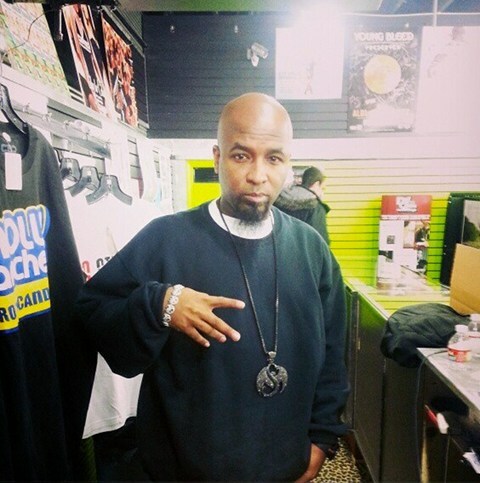 The event was a Strange Music star-studded affair, as Tech N9ne, Krizz Kaliko and even Big Scoob made their presence known, showing up to support their fellow Kansas City emcee. 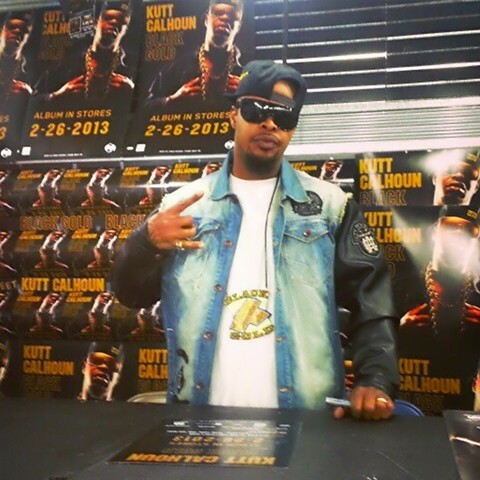 Fans lined up to get their chance to meet and greet Kutt Calhoun, who was adorned with a new addition to his already long list of chains to commemorate his latest release. 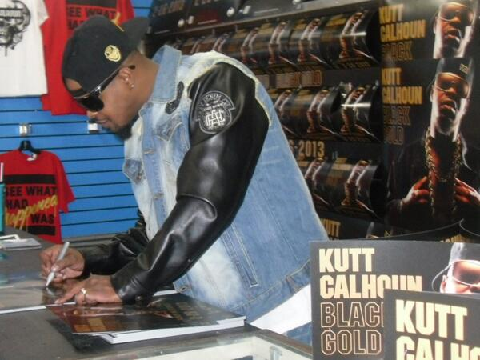 With the familiar silver Sharpie in hand, Kutt signed autographs for a long list of fans who got their chance to share time with the Kansas City Chief. 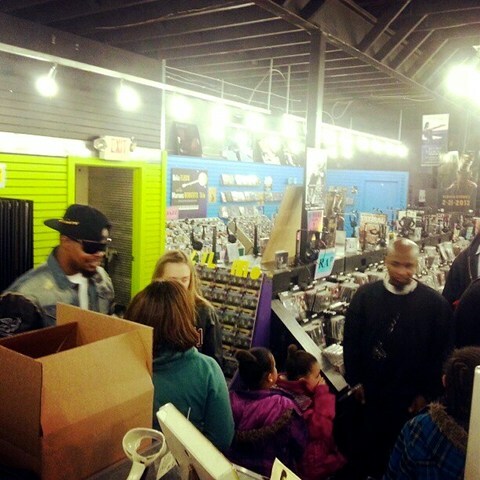 Thank You to all the fans for showing out! 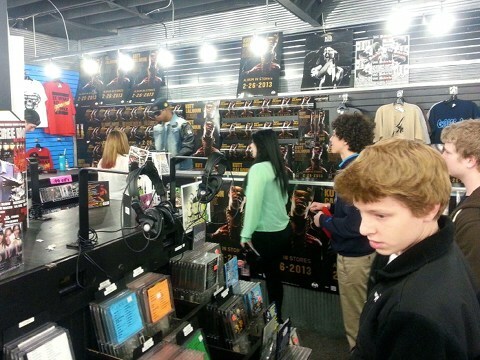 Have you ever been to an in-store signing?